A driver has avoided going to prison for hitting a parked car while almost five times over the limit. 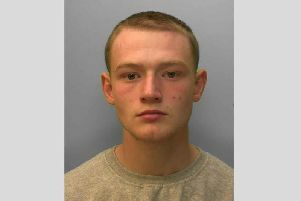 James Wise was banned from driving for 30 months, and given a 12 week prison sentence suspended for a year at Worthing Magistrates’ Court today. The 42-year-old was caught by police trying to walk away from his Fiat Punto following the crash in Seabright, West Parade, Worthing at around 11.45pm on February 4. Tests revealed he had 168 microgrammes of alcohol in 100 millilitres of breath – 4.8 times the legal limit. Chairman of the bench of magistrates, Helen Ralston, said: “That was a very high reading, and it must have taken a lot of time to imbibe all that alcohol. The court heard how Mr Wise finished work at 10pm and went for a drink, having been told that day he had to leave where he lived in Worthing. He told probation he drank three or four pints of beer and five cocktails of ‘unknown strength’ before walking home past his car, when he decided to risk driving the rest of the way. After the crash, he fled to the gardens in Seabright Court where police officers caught him. They said he was unsteady on his feet with slurred speech. The court heard how he suffered from anxiety and depression, and had an alcohol problem for more than ten years. On average, he drank four litres of wine and four cans of beer a day, amounting to 50 units of alcohol. Mr Wise, who is currently living in St Joseph’s hostel in Hunston Road, Chichester, lost his job as a carer due to his crime and said he had no money to pay for a course which could reduce his ban, describing it as a ‘vicious circle’. He was also ordered to pay a £115 fine and £85 in court costs.